Directions Take preferably at bedtime or as directed by a doctor. Adults and children 12 years of age and over: Starting dosage: 1 tablet once a day. Maximum dosage: 2 tablets twice a day. 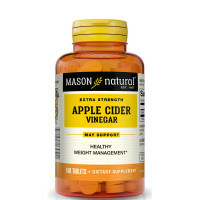 Children 6 to under 12 years: Starting dosage: 1/2 tablet once a day. Maximum dosage: 1 tablet twice a day. Children under 6: Starting dosage/maximum dosage: Ask a doctor. Store at 25 degrees C (77 degrees F); excursions permitted between 15-30 degrees C (59-86 degrees F). 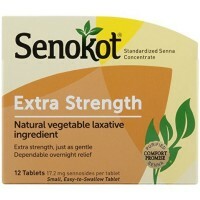 Uses Relieves occasional constipation (irregularity). 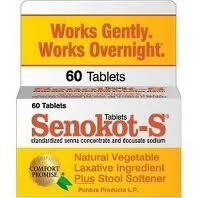 Generally causes bowel movement in 6-12 hours. 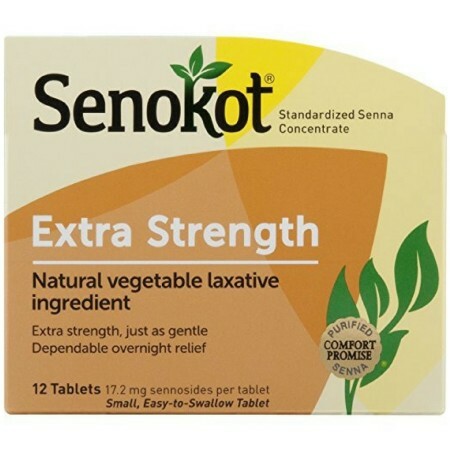 Small, easy-to-swallow tablet. Extra strength, just as gentle. 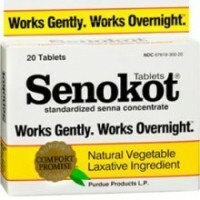 Warnings Do not use laxative products for longer than 1 week unless directed by a doctor. Ask a doctor before use if you have: stomach pain, nausea, vomiting, noticed a sudden change in bowel movements that continues over a period of 2 weeks. Stop use and ask a doctor if you have rectal bleeding or fail to have a bowel movement after use of a laxative. These may indicate a serious condition. If pregnant or breast-feeding, ask a health professional before use. Keep out of reach of children. In case of overdose, get medical help or contact a Poison Control Center right away.